Low Traffic on Your AdWords Campaign? 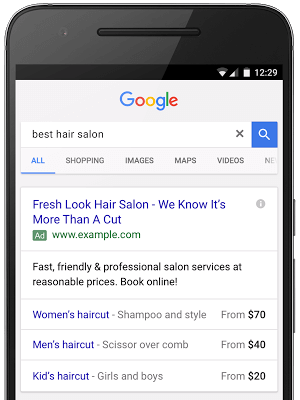 If your AdWords campaign isn’t receiving the attention you’d like it to, we’ve got some pointers to help you gain clicks. Follow along to learn more about how you can change your campaigns to gain more traffic to your website! Because your keywords have such a significant influence on your campaign, it is essential to keep them under a microscope. Often times, users will set up an AdWords campaign including their top keywords and will not revisit this list afterward. Be sure to keep a close eye on your keywords to analyze what is working and what is not. Furthermore, be sure you aren’t wasting money on high-volume search terms that are irrelevant to your business! This is a common mistake but can be controlled by closely monitoring your keywords. If you are selling a product or service that is niche or has low search volume, be sure you are not missing out on users simply because you are being too specific. For example, your keywords should not only include the specific, niche services or products you offer, but also the search terms that relate to your business in a broader sense. Reevaluate the user experience and how you may guide users to your website who are searching for your product or services in a less direct manner. If you’ve never tried display ads, this is a good time to test them out for your business. If your industry is particularly visual, you should invest the additional time and effort display ads require. The combination of text, images and color schemes that display ads offer will be sure to catch users’ eyes even more than your text ads.